We start the seder by pronouncing the fifteen steps that will comprise our evening’s ritual which (among other things) marks the birthday of our peoplehood. Kenesset Yisrael (the mystical Body of Israel) was conceived by Avraham and Sarah, floated through the fallopian tube with Yitzchok and Rivka and implanted in the dark womb of Egypt when Yakov descended there with his clan of seventy souls. They gestated “like a fetus in utero” for 210 years and then, on sedar night they prepared for birth. The contractions had begun nine months earlier (in the month of Tamuz) with the first plague, but on seder night they crowned (a medical term that describes the child’s head as it first appears to the outside world). Then, says the Ari, Kenesset Yisrael was finally delivered seven days later on the last night of Pesach, when they passed through the Reed Sea which served as their birth canal. According to kabbala the third (and highest) level of soul, called neshama, enters the child at the point of crowning. 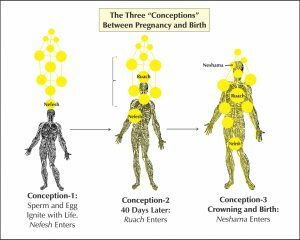 The nefesh takes root at conception (when the sperm and egg ignite with life), the ruach at forty days, and neshama at the moment of birth. Conception marks the point when a soul first comingles with a body. This means that when the child crowns, there is also a conception of sorts, for the neshama is first making contact with its fleshy self. The child will spend the rest of its days integrating the profusion of lights that comprise its holy neshama. So though we usually think of conception as preceding birth by nine months, that is only partially true. Another conception transpires at birth, when the neshama drops into the body at the point of crowning. This is what the Ari means when he declares that “on sedar night a conception occurred, and seven days later was the birth.” The entire rest of history is the journey of this newborn Kenesset Yisrael, which today remains a work in progress but whose future perfection will generate all the glory of messianic times. In the course of our Pesach seder we reenact the path of Kenesset Yisrael’s conception, gestation, immaturity, fall-from-grace, teshuva, and eventual enlightenment—a journey that began this very night in Egypt over three thousand years ago. (A step by step elaboration of these fifteen milestones appears in the Still Small Voice Pesach Haggadah). The first two stages—Kadesh, Urchatz—effect the evening’s (metaphoric) conception. But first, a word about symbolic resonance. Ethnographers identify two distinct worldviews that are often labeled Western and Eastern because each predominates in that hemisphere of the planet. They are like two different channels on a television. Each one is coherent, sensible, enables meaningful predictions and explains what is happening in the world and why. And yet they are completely different. One is the western, scientific, skeptical, empirical worldview where logic rules and truths are buttressed with statistics. And one is the more Eastern, indigenous, associational, worldview that emphasizes inner input and energetic affinities. We are socialized into one or another of these worldviews through our education and childhood experience—our brains get hardwired into this pattern or that. Of course there are shades of gray and it’s good to appreciate the other but (because of the neural hardwiring) it’s not generally possible to switch tracks and fully adopt the alternate perspective. It is oft noted that the Land of Israel lies at the intersection of these two geographic hemispheres and serves as a corpus collosum, or bridge between them. Consequently, the religion that sprouted from this landscape is distinguished by an exceptional integration of these two worldviews—wedding rigorous Talmudic logic with elaborate Kabbalistic symbology. The Torah’s 613 mitzvot include a category of laws called mishpatim that regulate contracts, torts and criminal matters. Mishpatim make sense to the rational mind. Another category of mitzvot called chukim, are distinguished by the fact that they do not make rational sense (for example, the red heifer’s purifying tincture). And actually, even the mishpatim at their root, are chukim, since their deeper purpose is always more mysterious than the explanations proffered for them. The chukim appear irrational to Western sensibilities, but they actually employ an internal logic that is equally coherent and could be called Symbolic Resonance. Its network of associations is the organizing principle of the indigenous (Eastern) worldview. It’s like a piano where, when you press a C key, all the other C strings vibrate in resonance. 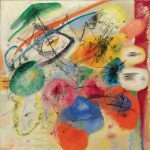 So here, there are symbols connected by an associational matrix that are known to display resonance. Tweaking any one object in that symbolic set causes all of those objects to activate and transmit influence. Sensitivity to these affinities passes down through a process of acculturation that is so subtle it appears as innate wisdom. Kabbala is the Jewish science of symbolic resonance. 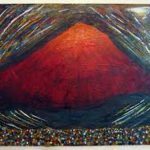 Our entire body of religious practice incorporates something of its (indigenous) logic; the Pesach Seder is no exception. Our collective neshama (called Kenesset Yisrael) touched ground on that original seder night, and every year a new aspect of it—its next increment of consciousness—crowns and prepares to integrate. Next year at this time we’ll be “that increment” more enlightened. This yearly conception of new lights occurs on both the collective and individual scales. The seder’s fifteen stages employ symbolic resonance to mark the process, and also invoke it. That brings us to “Kadesh, Urchatz…”—the first two steps in our evening’s sequence: (1) the recitation of kiddush and then (2) the washing of hands. Urchatz (ורחץ) is the only stage on our list that begins with an “and” (as indicated by the letter vav before the word). The rabbis added this conspicuous vav to interrupt the natural sequence which would be to associate the washing (rachatz) with the vegetable (karpas) that we are about to eat (for since the latter requires clean hands we wash before partaking). That’s the pshat. Yet the vav before Urchatz disrupts this flow and, instead connects our handwashing to the stage before it (ie, kiddush) though there is no obvious basis for overriding the pshat and asserting such a link. Yet, by adding this mysterious vav the rabbis turn “Kaddesh, Urchatz” into a twosome who effect the conception that is the initiatory event of the evening. “Kadesh, Urchatz,” through symbolic resonance, function in the seder as the elements that comprise a conception. A quick review: The cosmic shattering of vessels produced three components: (1) Lights that returned back up to their root when the vessels broke. (2) Shards. The shattered vessels that fell down into the abyss. (3) Sparks. Lights that had penetrated the walls of their vessels and were pulled down with them in the ruin. These lights—separated from their root and trapped below­—are called sparks. Lights and sparks are estranged soulmates. In every conception some portion of them reunite: lights from above, sparks from below. They meet in the womb, and begin a lifelong partnership that deepens daily. Lights form the Divine Soul and sparks form the Vital Soul. Kadesh (meaning pure and holy) resonates with the Nefesh Elokit half of the duo which is also pure and holy for its lights were not damaged in the cosmic shattering. Urchatz (washing) resonates with the Vital Soul, or spark half of the duo that was marred in the shevirah, and needs to be cleansed. Sparks pulled up from the abyss bring a host of contaminants with them. One major function of gestation (says Kabbala) is to prepare these tainted sparks to support life by washing out the worst of their impurities. The bloods expelled in the birthing process (placenta, etc.) are exactly that (says Kabbala)— impurities removed from the sparks through gestation. This cleansing enables the Vital (Animal) Soul to bond with its Nefesh Elokit and start life with a (mostly) clean slate. The seder proceeds to its next stage where this “newborn” increment of consciousness grows into a young sprout (karpas) and then experiences a “fall from grace” (yachatz), etc. The seder is both a rebirthing and revisioning. In the course of the evening we revisit our beginnings as a people and infuse it with all the consciousness we’ve absorbed since then. And as we continue through the fifteen stepping-stones-of-life that are the seder’s hidden resonance we arrive at the enlightened state of gratitude and G-d consciousness that is our messianic destiny. 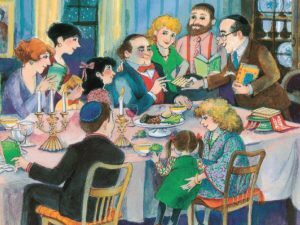 Let it be that on this precious seder night, when Jews across the globe gather round a table, eat their matzah, and ponder what it means to be free; may the power of our practice spark a holy surge of resonance that fosters a conception long-awaited…may we, finally, altogether, embody mashiach this year. According to Jewish law, up until crowning, if the pregnancy threatens the mother’s life, the child is sacrificed for the mother’s welfare, since the child (with its ruach) is a lower level of life than the mother (who possesses a neshama). But once the child crowns, its neshama enters and the two are now of equal rank and neither can be scuttled for the other’s sake. And (as mentioned) there’s an additional interim “conception” forty days into the pregnancy when the ruach drops in. See the elaborated Rashi on Bamidbar 19:2-3 for an unpacking of the the Red Heiffer symbology employing symbolic resonance. “Kadesh, Urchatz” describe this stage in our evening’s journey but the actual crowning occurs with the Afikoman.